I'm moving rooms. My priority recently was making the perfect scatter cushion for my new bed. Here is a cushion cover that I made and how I made it. 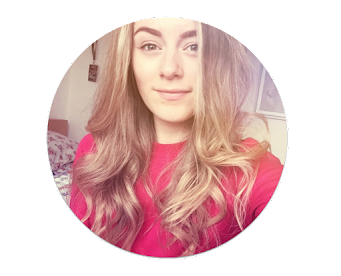 I do apologise because it is not easy and you will need experience and/or skill on a sewing machine and also I did find this difficult to explain. 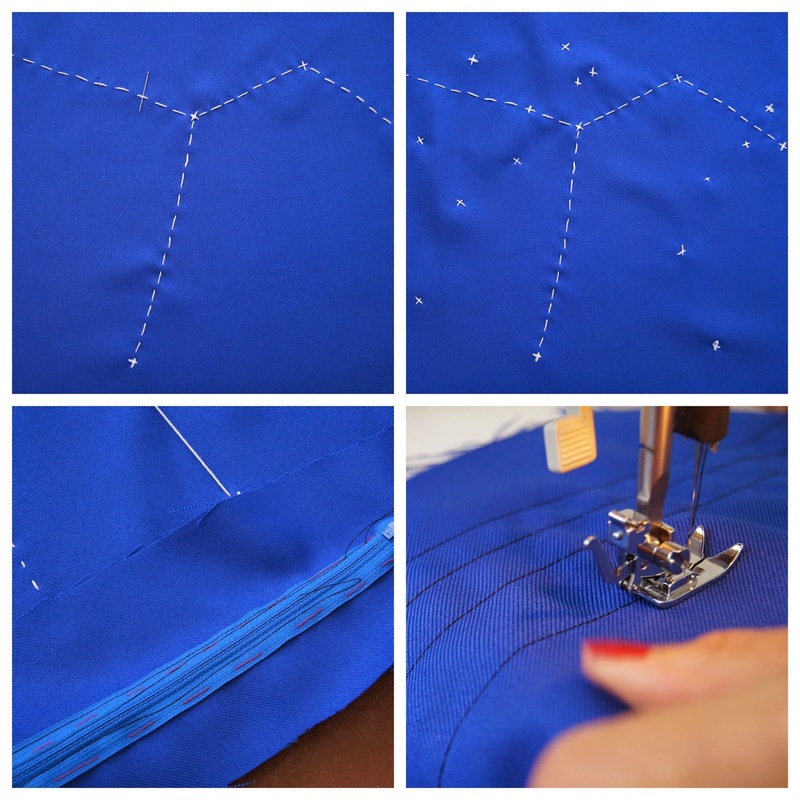 Anyhow, here is how you make a Constellation Cushion Cover. 1. Cut your fabric to have a border of about 8cm+ around the outside of your cushion. My cushion is 18 cm by 18 cm. Remember to double cut, this means cut two layers of fabric. 2. Choose your constellation. I chose Columba which is the constellation that represents a dove. Once you've chosen it find the middle point of you fabric and pin the centre. This is also the centre of the constellation. 3. 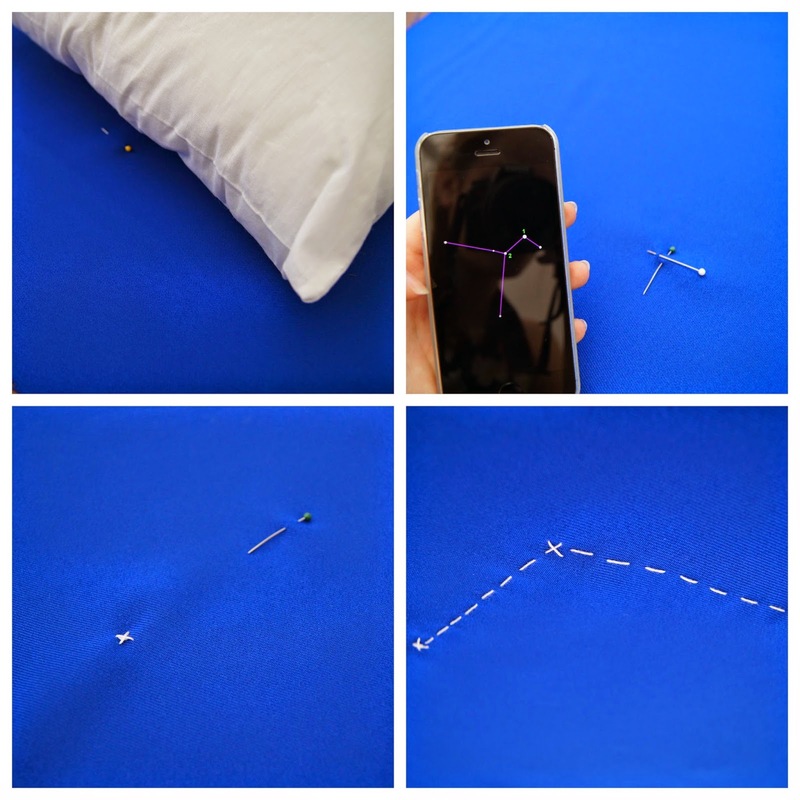 Plot the rest of your points that the constellation has, using pins. 4. Sew a cross stitch at each point then connect them with an even, straight running stitch. 5. Connect every point - now you have your simple constellation. 6. Add some random cross stitches of different sizes around the constellation. These are various stars. 7. This is where it gets difficult to do and explain. The fabric needs to have the outside facing each other then the ends folded outwards, away from each other, at the width of about 4 cm. Tack the zip so that the plastic is exactly in-between the two pieces of fabric/fold. 8. Sew along the zip fabric as close the zip plastic/metal as you can. 9. Now turn the fabric the correct way around then un-tack the centre of the zip to release it. Now unzip the zip and leave it open. 10. Turn the material inside out again. Now sew all the edges together. I kept checking to see how much I had to take in, every time I'd sewn once. I did this until it was perfect fit. 11. Turn the cushion the correct way around now via the open zip. You now have a cushion cover.